We are a leading Manufacturer of submersible cables from Jaipur, India. Keeping track with current market development, we are devotedly engaged in offering finest quality Submersible Cables. The offered cables are fabricated with the help of high grade fabric optic wire, aluminum, etc materials and technically advanced tools as per the set industrial standards. 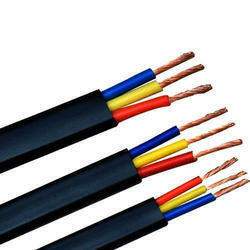 Our offered cables are made available in various specifications for our clients to choose from. Our clients can avail these cables from us at market leading prices.